The tomato San Marzano is protected by DOP, a law valid in Europe, which means that if you call a tomato “San Marzano” that tomato has to come from a specific area near Naples, from specific tomato seeds and has to be processed in a specific way. If you don’t follow these rules and you call San Marzano your tomato, you are operating outside the law. Edoardo Ruggiero, the man on the left, is the president of the Consorzio San Marzano, the organization that protects the honor of the tomato San Marzano. I met Edoardo on my recent trip to Italy and it was one of the most interesting encounters of my entire “food” career. First thing Edoardo said was: maximum 1% of tomatoes in America sold as San Marzano are real San Marzano. Then, when I told him I would put it in writing, he said, OK, let’s say 5%, to be on the safe side. It is still huge! Shocking! Absolutely SHOCKING!!! It means that at least 95% of the tomatoes that you find in the supermarkets and that make a reference to San Marzano on their label, are not San Marzano; that you are paying a mark up for a fake product. It does not mean the product is not good; it means that the product is NOT San Marzano and should not be promoted as such. Edoardo went on and explained to me that “illegal” companies send big containers of tomato tins “in bianco” (without labels) to America and the labels are put on the tins when they have safely arrived to America. Since in America, the DOP does not have any legal value, you can call a tomato San Marzano, San Giovanni, Giuseppino… it cannot be pursued. In fact, Edoardo tells me, there is a company that calls itself “San Marzano” and specifically announces on its labels that its tomatoes are even grown in the USA. I don’t know the international food laws, but something is not right, here. 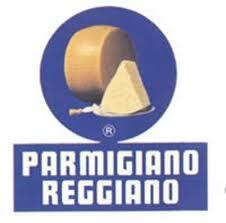 What would you think if a dairy in Wisconsin calls itself “Parmigiano Reggiano”? Next Post Colatura di Alici is the New Balsamico!!! Thank your for this interesting discourse. Now I finally get it! I had already wondered how that was possible to find San Marzano cans in every store even in the smallest town, and even on the most rare store brand. The explanation that the protected name doesn’t matter here makes sense to me, now it is all clear. I guess I can name my homemade jelly San Marzano if I wish to do so. I had recently tested your new product (the Dani coop real thing tomatoes) in comparism with a STORE BRAND (italian writing on label! ), and there was a clear difference in taste and aroma and texture. About the cheese you mentioned: it is not a coincidence that a company whose name rhymes with “aft” is renaming their fake products, and now in the 4th generation, people seriously believe that “Parmesan” is the real thing, just because they have learnt it that way. Thank you for making the real thing available to us! As a passionate cook (and eater!) I am really appreciating it. What a great news, all markets and shops have San Marzano tomatoes and other products. Absolutely this is an interesting article. Grazie! Great to hear you are interested in real and authentic products! Would you like to have more information? And hear about our wholesale program? You should talk to our collegue Stefano @ 718 860 2949. It is not as black and white as all that this makes it out to be. Yes, San Marzano is DOP. But, the tomato variety called San Marzano is widely available and widely grown. So, many of the cans of Tomatoes called San Marzano may, in fact, contain the tomato variety San Marzano just not San Marzano’s grown the the DOP area nor processed specifically to the DOP standards. It’s not as though any old tomato is in most f these cans marked San Marzano (but I would never buy ones that were chopped or pureed. Grazie Paul! 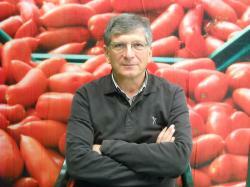 The president of the Consorzio tells me that if the tomato is not grown in the area, it cannot be called San Marzano. Same with Parmigiano Reggiano or Champagne. You cannot give those names to products which are not made in those specific area and according to precise rules. They might be good products, but you can’t give names. It’s against the European law. Think about it. What is the law for? Just for the privilege to add a DOP to a label? No, the law protects the full name of the product.